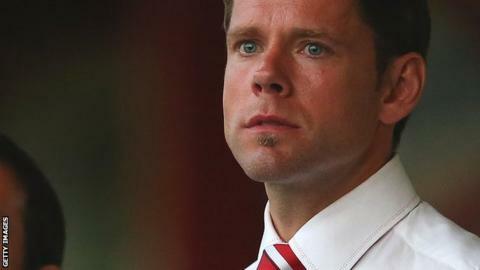 James Beattie says keeping Accrington Stanley in the Football League in his first season as a manager is one of the highlights of his career. Stanley started the campaign among the favourites for relegation from League Two and took just two points from their first 10 games. But the 36-year-old, capped five times by England as a player, guided the club to safety with a game to spare. "It goes up there as a very special moment," he told BBC Radio Lancashire. "This time last year, I was a player in that dressing room. I said it was a great journey for me and probably one of the highlights of my career, even though it was a relegation battle. "This time, we were in the same sort of thing, but I'm the manager. In my fledgling managerial career, it's got to be a highlight to maintain Football League status with the battles we fight on a daily basis at the club." Since their nightmare start, Accrington - who operate with one of the smallest budgets in the Football League and attract an average home attendance of about 1,600 - have been one of the form sides in the division and their survival was confirmed with a 2-1 win at Oxford on Saturday. Beattie, who was appointed as successor to Leam Richardson in May 2013, continued: "The recovery is complete. As I've said all season, we believed in what we were doing, even though the start we had was horrific. "The players were the reason I took the job and I thank them from the bottom of my heart for their efforts this season. It's a tremendous achievement by everybody involved."